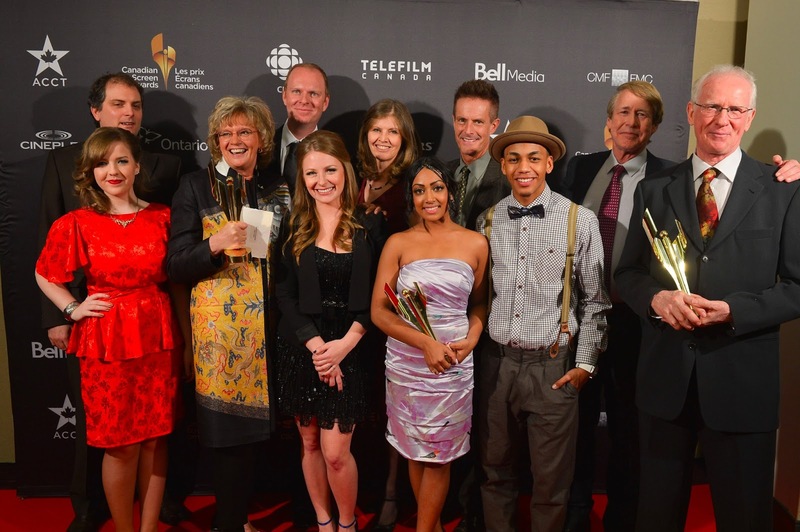 The Academy of Canadian Cinema & Television (ACCT) is pleased to announce 46 Canadian Screen Award winners in Drama, Children’s or Youth, Comedy and Variety categories, including the winners of four Academy Special Awards. Tonight’s Canadian Screen Awards Gala hosted by CTV journalist Seamus O’Regan at the Metro Toronto Convention Centre is the second of three awards' evenings hosted by the Academy. Kim Cattrall was presented with the Canadian Screen Award For Outstanding Artistic Contribution to Film & Television. “We are truly honoured to award Kim with a special achievement award for her substantial contribution to the film and television industry,” said Stephenson. On Wednesday, February 27, 2013 the Academy presented awards to 46 Canadian Screen Award winners in News & Sports, Documentary, Lifestyle Reality programming categories, including the winners of six Academy Special Awards. This reception was held at the Metro Toronto Convention Centre and hosted by comedian Steve Patterson (The Debaters). The first annual Canadian Screen Awards will culminate with a broadcast gala on Sunday, March 3, 2013 at the Sony Centre for the Performing Arts. This event, hosted by comedian Martin Short, will be broadcast at 8 PM (8:30NT) on CBC Television nationwide.